We all have that film that terrified us as a child and refused to watch for many years. Mine was "Arachnophobia". After years of avoiding it I finally braved a viewing and found myself being that anxious little child again, finally after a while I started to relax and enjoyed the film for what it is. 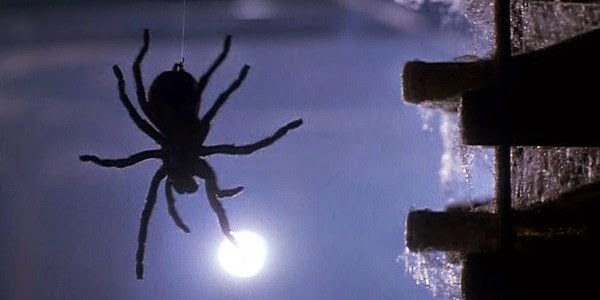 The movie works on a common fear (hence the name) and even though I don't have a fear of spiders it does make your skin crawl and gets you a little creeped out no matter what age. Director Frank Marshall makes this highly effective viewing but when Steven Spielberg serving as Executive Producer you're in safe hands and have someone to give you fantastic advice. Still, it's a shame Marshall hasn't done more Directing work in his career. 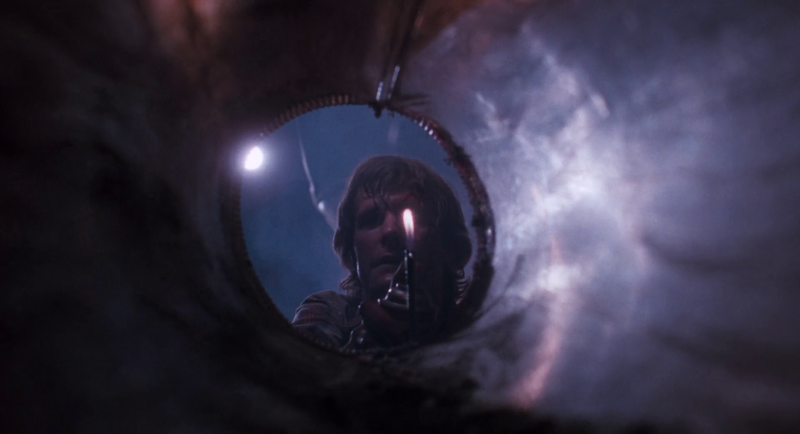 The film features a couple of highly memorable scenes that will haunt your mind for quite a long time afterwards, but that just means it's done it's job. It may seem childish but it is seriously so effective. 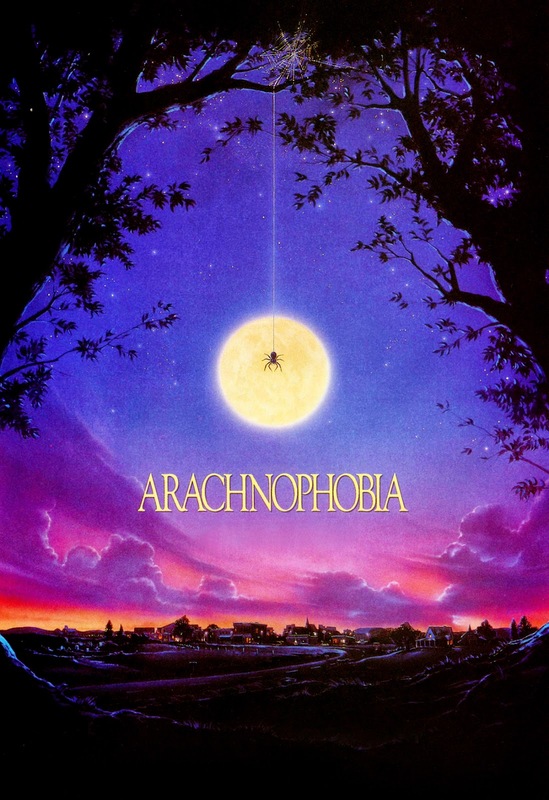 "Arachnophobia" is creepy and fun, if you have the phobia then STAY AWAY from this film. The small spiders used in the film were Avondale spiders (Delena Cancerides), a harmless species from New Zealand that were provided by Landcare Research in Auckland. Despite their fierce appearance, this spider is docile member of the crab-spider family and are, in fact, harmless to humans. They were not allowed back in New Zealand for quarantine reasons. The giant "spider" used in the film was a species of a bird-eating tarantula, which attains an 8" legspan or more. Those types of tarantula are not easy to handle and can give a nasty bite. The spiders in the film were managed and handled by famed entomologist Steven R. Kutcher. The anamatronic General Spider seen at the film's climax was one of the earliest prop jobs done by Mythbusters' Jamie Hyneman. The first film released under Disney's Hollywood Pictures label, which was also created so the studio could release more adult-oriented fare. Canaima is the name of the avenging spirit of the Guyana Indians. It's also the name the area in Venezuela where the beginning of the movie was filmed and home to the world's tallest waterfall, Angel Falls. Brian McNamara, who plays Chris Collins in Arachnophobia, was actually on an the episode of Family Ties entitled "A, My Name Is Alex", from 1987. The TV is playing an episode from Family Ties in the scene the house is covered in spiders. The movie was filmed in Cambria, California. All the school scenes were filmed at Coast Union High School. According to Sheriff Lloyd Parsons, the house Dr. Ross Jennings now occupies is 'the old Daniels place'. Dr. Jennings is played by Jeff Daniels. The action of the movie takes place in the fictional city of Canaima. But Canaima is the name of the Venezuelian National Park in which the beginning of the movie was shot. When in the cemetery exhuming one of the bodies, the name of the grave in the background says MacNamara, which is also the surname of the actor Brian, playing Chris Collins. LINNEA QUIGLEY NEEDS YOUR HELP!!! THE MORTUARY COLLECTION NEEDS YOUR HELP!